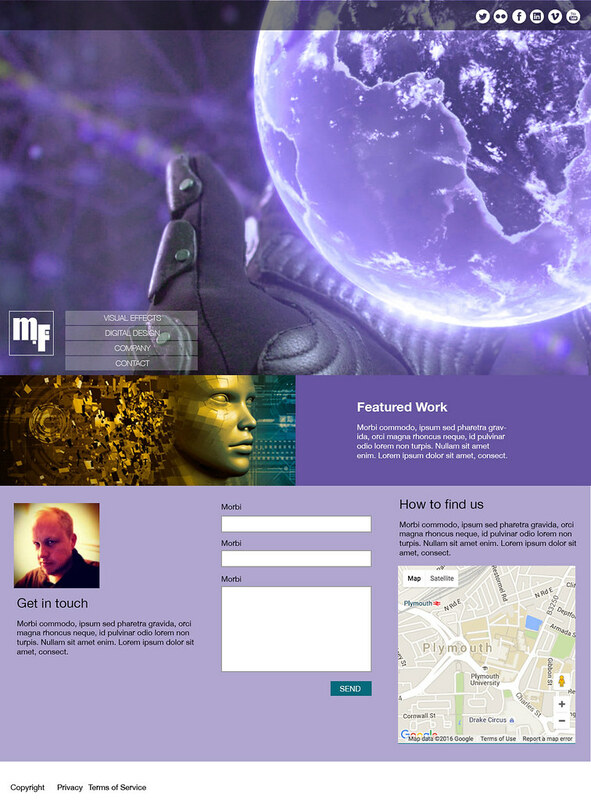 In preparation for completing the assignment for DAT 404 (Web Technologies), we were tasked with investigating web site design and splash page design for our chosen professional practice and then mocking up a number of our own designs. 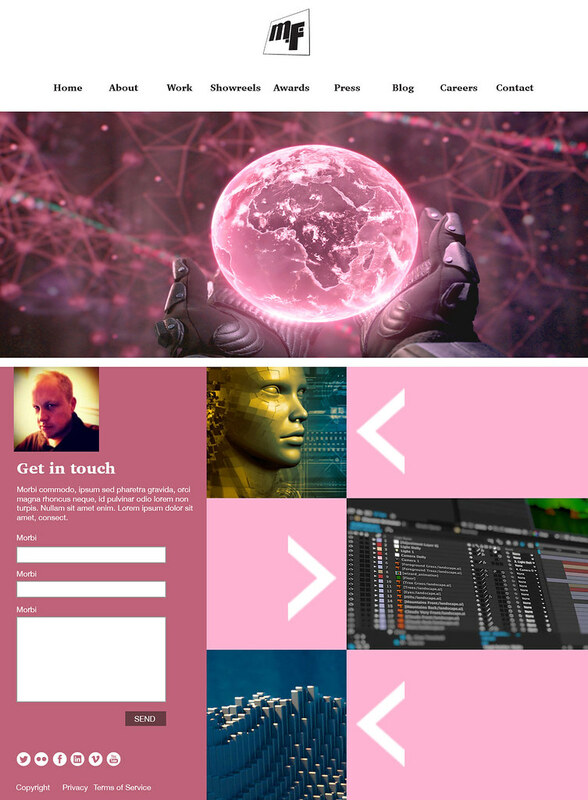 The above four web design examples all make use of a feature or ‘hero’ image. As providers of a visual medium, these companies naturally want to showcase their services in a visual and eye-catching way. The Industrial Light & Magic site, particularly, is a good example of this with an arresting full-screen image from their recent work, unobtrusive navigation and subtle social media links that don’t detract from the main image. 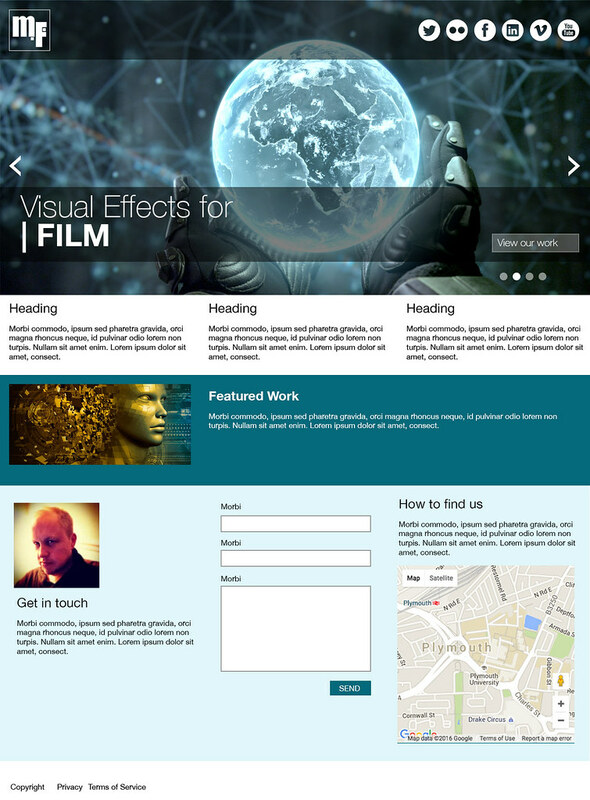 The remaining three sites (Double Negative, Weta Digital and Framestore) use similar web design site layouts. Hero images of dramatic moments from films they have worked on are featured. Framing these images are navigation elements, social media links and feeds, and teaser articles linking to awards won, other work, etc.